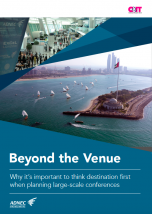 Download our free report, in partnership with ADNEC, to discover must-know ways to boost your destination events to keep your attendees raving about it well after they return home. Read this report written in partnership with Manchester Central to discover why you should take your events out of London. No Going Back - Has CSR in Events Reached a Turning Point? The tide is finally starting to turn for CSR as far as business events are concerned. Ensure that you keep up with the developments. Find out what the benefits of adopting the all-inclusive model for meetings and incentives are. It's time to assess your responsibilities and ensure an easier path for your organisation's success. Health-conscious conference attendees of today want healthy events. How can planners keep up with growing appetites and expectations? C&IT, in partnership with Cvent, surveyed more than 120 marketers and event planners to see where events fit in the overall marketing mix. The purpose of the research was to find out how well integrated events and marketing are, the top challenges and priorities for both sides and where the key differences lie. With customer reviews becoming an increasingly important measure of event success, the pressure is on event professionals to deliver amazing results. The emphasis on standing out from the crowd to attract new customers, whilst also maintaining repeat business and reacting to new demands year after year, is no mean feat for event planners. 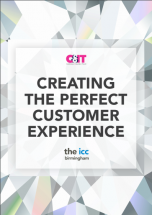 So, how do you create the perfect customer experience that sets you apart from competing events? Marketers and event professionals know that the importance of experience their brand can offer is increasing. So how can you create moments worth sharing before, during and after the event? Discover the breathtaking destination for your next event that will impress and inspire your delegates. Explore what locations can break the boundaries of innovation and promise delegates a unique experience. Uncover seven ways event technology can help you to tap into the millennial and post-millennial mindset. Create a pre, during and post-engagement strategy that fosters the relationship between you and your delegates. Amplify and enhance the experience of delegates and the opportunities open to sponsors by transforming your content and embracing diversity. 91% of event professionals have seen a positive ROI from implementing an event app. Delegates now expect or even demand an interactive and tailored experience at the events they attend. This includes real-time updates, tools to arrange meetings or find exhibition stands, and an easy way to discover additional content on the topics that interest them. Do You Really Know Your Delegates & Customers? Here at Event, C&IT and Brand Republic, in partnership with Mediabase Direct, we have compiled a step-by-step guide looking at how you can ensure your data is clean and up to date. Find out how you can create standout events that maximise engagement and deliver business-driven outcomes. This hugely popular eBook forms part of our Power Of Live Series: Social Media Focus and offers a vital checklist to ensure you are making the most of social media within your events. Social Media and Live Events: A Winning Formula? Intuitively, social media and events make a perfect match – they share a common purpose to create a dialogue, a buzz, and the exchange of ideas. As part of The Power of Live series, Event Magazine, C&IT Magazine, and Brand Republic, in association with Cvent, conducted a survey of 576 event marketing professionals to discover how social strategies were integrated into the events they produced. The respondents came from a variety of backgrounds, including those who work on conferences (48%), fundraisers(10%), workshops (7%), and internal meets (7%), with 33% having worked on events for over 5,000 attendees. This eBook will show you why mobile hasbecome so personally intertwined with ourdaily lives, and why that’s important for yourmeetings, conferences, and events. We’llcover how mobile apps are changing eventexpectations and experiences, along withwhat to look for in your own event app. Event management and global meeting agency BCD M&E appoints three new members of staff. The SEC Meeting Academy officially opens mid-February and can hold up to 400 delegates. Three events apprentices at Haymarket Media Group discuss the benefits of getting hands-on work experience. 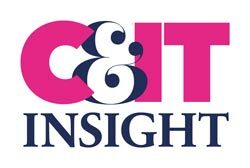 Would you like to get involved with C&IT Insight? Haymarket Media Group, publishers of C&IT Insight, takes your privacy seriously.